At The_Batam_Transport, we treat our customers and clients with utmost importance and strive for excellent customer service. We provide customised service to suit your requirements. 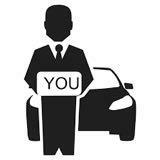 Be it chauffeur driven or self drive rental cars, we have them all.